By Rev. William Morford, translator and editor of the One New Man Bible. More than two-hundred indexed subjects in eleven chapters, including: the nature of God, covenant, the Hebrew and Greek languages, religious myths, biblical word meanings, teachings, Jewish roots, the Patriarchs, biblical weights and measures, Hebrew months, a map of the united kingdom in the days of David and Solomon. 91,000 words in easy to read pdf format. 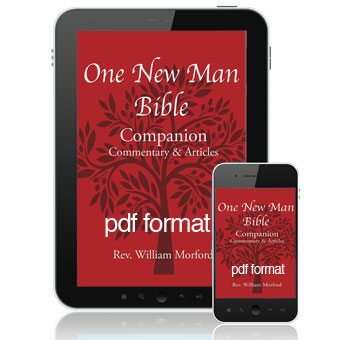 This companion to the One New Man Bible will serve as a useful and constant guide in your Bible study for years to come. This exhaustive commentary by Rev. William Morford, translator and editor of the One New Man Bible covers more than two-hundred indexed subjects in eleven chapters, including the nature of God, covenant, the Hebrew and Greek languages, religious myths, biblical word meanings, teachings, Jewish roots, repentance and the Patriarchs. Also included are biblical weights and measures, Hebrew months, and a map of the united kingdom in the days of David and Solomon. 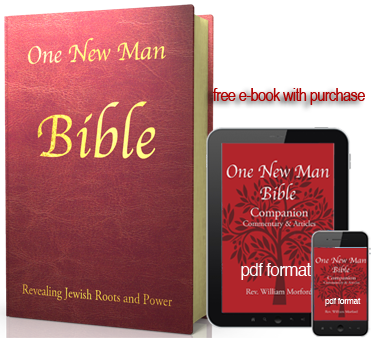 At more than 91,000 words and 242 pages this companion to the One New Man Bible will serve as a useful and constant guide in your Bible study for years to come. Under God’s gracious direction, Bill Morford has done a great service to the Saints with the writing of this “Companion.” The One New Man Bible, with its more than 4,000 footnotes; along with this supplement, is a tremendous help for clearing up much miss-interpretation, miss-understanding, miss-aligned applications and conclusions of Biblical texts. Biblical terms which have been miss-understood by much of the Community of Believers are now made clear and understandable. 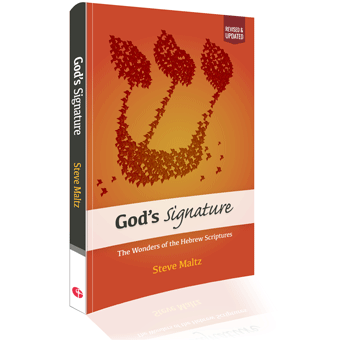 It offers to us a more accurate knowledge of God’s inspired message to humanity. 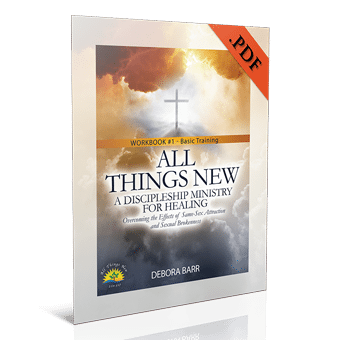 Within these pages you will find a treasure of knowledge and understanding of the whole Bible and, hopefully, a renewed love for the Truth of God’s Word. It is one thing to read about truth, but quite another to understand it correctly for a righteous walk of faith. 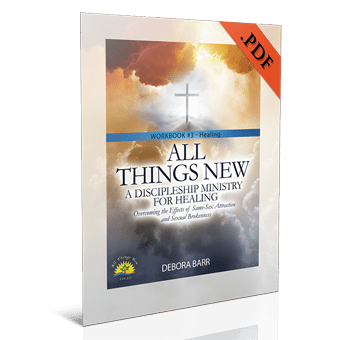 Consider this material to be a “magnifying glass” which exposes distortions imposed by religious tradition, compromise and a limited defining of Biblical terms. It is also a ‘light’ shining into our hearts to bring us fuller knowledge of Truth; for it is our knowing the Truth that sets us free and experiencing Truth that makes us and keeps us free, indeed.